There is too much focus on skills and experience when opening up a new job. By describing the job in terms of outcomes and the long-term career opportunity, the skills become a subset of performance. The idea is that if a person can do the work, the person has the right skills and experience. This allows a company to upgrade the talent pool to include more high-potential, diverse, and passive candidates without compromising the quality of hire. When talking with strong candidates, recruiters need to be able to describe real job needs as a series of clear performance objectives (design new rapid response mobile interface) rather than emphasizing skills (must have 3 years+ HTML5 and a BSCs). This is recruiting from beginning to end. Passive candidates need to see the career opportunity in another job before they’ll consider it seriously. This typically is a slow process taking days to fully absorb, not minutes to explain. So recruiters can’t rush it. They need to sell the next step, not the job. This requires a series of career discussions and in-depth interviews, including exploratory meetings with the hiring manager. If the job is a true career move and the candidate is exceptional, the compensation will be resolved without much duress. If you want to hire the best person available, rather than the best one who applies, pick up the phone and start getting referrals. Strong networking skills are a critical part of this. The direct way: use LinkedIn to find prospects connected to your first-degree connections and ask them about specific people. These people will call you back, so your productivity will soar along with quality of hire. The indirect way: find the best prospects in the entire LinkedIn database who are your second-degree connections, then find your first-degree connection and ask if they’re qualified. When getting referrals, don’t ask your connections if they know people who are looking; instead, ask them to tell you who is the best person they know in a specific field. Then call this person, mention the person who referred them, and recruit the person thinking win-win and begin with the end in mind. Prioritize and work on work that matters. This is the difference from filling the position with the best person who applies to seeking out and recruiting the best person available. Focus on urgent and important, not just urgent, and especially don’t focus on not urgent and unimportant. Too many recruiters spend their valuable time weeding out the weak, rather than attracting the best. Too many hiring managers overemphasize skills and experience when opening a new requisition. They then either overemphasize technical brilliance or the impact of first impressions when deciding to hire the person or not. If a good candidate is rejected for a bad reason, recruiters need to intervene by first understanding the real job, why the person wasn’t considered, and as a rebuttal, presenting detailed evidence the candidate has performed similar work at peak levels. Recruiters can’t use hyperbole to convince a hiring manager about the worthiness of a candidate, but they can use facts and evidence. This is team skills on steroids: working with, influencing, coaching, and developing people. For a recruiter, it’s working with and influencing the hiring manager and the interviewing team to make the correct decision using the correct information. Too many recruiters aren’t willing to challenge those with more authority even though they know their decisions are flawed. Becoming a trusted partner in the entire hiring process is essential if a company wants to see and hire the best people available. Constant self-improvement is not only a core characteristic of all top performer but essential for recruiters who want to stay competitive. It starts by mastering the three primary sourcing channels: improving the yield and quality of all job posting efforts, using and nurturing talent databases, and becoming an expert at networking and passive candidate recruiting. Once these are mastered individually, shift the entire emphasis to passive candidate recruiting since this represents 85% of the total talent market. As the hiring market shifts into second and third gear, recruiters will become the front line for helping companies hire the best talent available. Don’t settle on the best person who applies. It’s time for recruiters to improve their game. Embracing the Seven Habits is a great place to start. 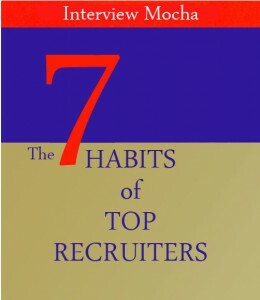 An interesting article by Lou Adler depicting the Seven Habits for recruiters as a frame of reference. 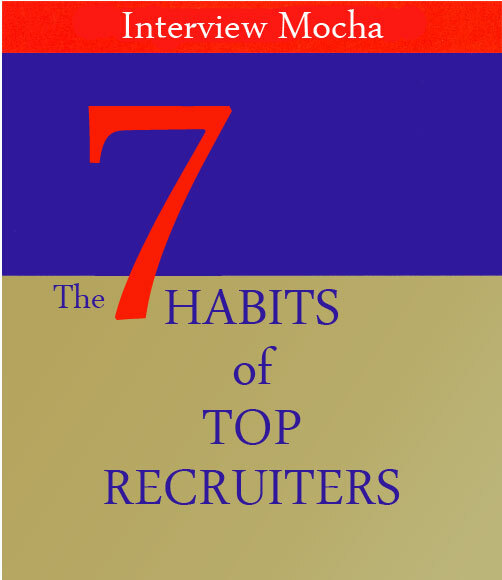 How online testing can aid the top recruiter to embrace the Seven Habits? Online pre-employment testing can be a major asset to an executive recruiter who wishes to become a top executive recruiter. What is online pre-employment testing? Online pre-employment tests offer ready to use online recruitment tests on the web. These tests cover technical, communication, aptitude tests, attitude tests etc. A customer can use the available tests or create custom tests by adding his own questions. These tests are then assigned to various job applicants either in a supervised center or can allow the test taker to take the test at his convenience. There are various proctoring features to prevent cheating. Immediate reports are available which give actionable insights. 24x7 recruitment partners: An online pre-employment testing platform can be integrated with a company’s website allowing applicants to submit their details and appear for relevant assessments. This is done automatically by the system without any manual intervention. This creates a large pool of screened candidates who can be called whenever a vacancy matching their skills arises. This helps an executive recruiter to seek out the best person quite easily rather than choose from the limited number of applications in hand. Wider reach: Online assessments allow candidates from distant locations to apply for jobs and appear for the initial round of testing. This improves the reach of the recruiter. Defining job roles is vital to design a proper test. Any pre-employment testing company needs to understand relevant skills for any job role, whether it is a business analyst, senior Java developer or a project manager. The test has to have the right mix of technical and aptitude tests. The basic skills necessary for these jobs can be presented as factual evidence to the hiring managers in event of any disagreement on the worth of the candidate. A quantifiable test result cannot be challenged. A report showing strengths and weaknesses of the candidate by doing a skill wise analysis for each individual skill allows the recruiter to firmly state his case in event of any disagreement. Professional assessment companies do a deep analysis and research to understand the various skills and behavior traits necessary to be a success in the specific job role. Other than the technical tests, the aptitude and attitude tests give a quantitative measure of the candidate’s ability to handle the rigors of the job. Tests such as analytical thinking tests assess for problem-solving ability necessary for most job roles. Quantitative tests, Data interpretation tests, logical deduction tests all help to assess whether the candidate has qualities other than the technical skills. This allows the top recruiter to back his case with facts and figures. The results of Pre-employment testing done scientifically by using a science of assessment wherein job roles and relevant skills of successful achievers in that job role are mapped, allows top recruiters to easily state their case. Yes, the science of assessment must be very thorough and cover technical skills, aptitude skills as well as behavior traits. All these quantitative scores on aptitude and attitude aid the top recruiter in convincing the hiring manager to look beyond skills and experience. He nevertheless still has to chart out an attractive career path and sell that to the candidate. Are you too looking for the best person rather than the best available? Book a free product demo for Pre-employment Testing.